Updated Feb. 28, 11:33 a.m.
Police have arrested a suspect and recovered a body in the kidnapping case of 23-year-old Jassy Correia. 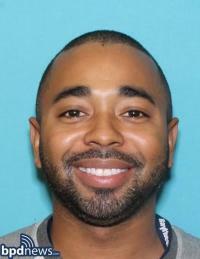 Providence Police arrested 32-year-old Louis D. Coleman III, whom police say is the man seen in surveillance footage from Sunday morning outside a Boston nightclub where Correia was last seen. According to Boston Police, "a body has been recovered," and Providence Chief of Police Col. Hugh T. Clements Jr. said, “We are treating it as a homicide investigation,” in a Thursday evening press conference. Correia had a 2-year-old daughter. Her brother told WCVB that she was found dead. Coleman was arraigned Friday on a fugitive charge in Delaware, WBZ reports . He will be charged in Rhode Island with kidnapping, refusal to report a death with intent to conceal, and mutilation of a dead body. Mayor Martin Walsh offered his condolences to Correia's family Friday, saying via Twitter: "The pain that we feel as a city right now is real as we mourn the loss of a young life that was taken too soon. My heart breaks for Jassy's family and friends, and her young daughter. Together, let's watch over one another. We are our brothers and our sisters' keeper." "The Boston Police Department is seeking the public’s assistance in locating the male in the above photos identified as Louis D. Coleman III, 32-years-old, of Providence, Rhode Island. The BPD is also looking to locate the red motor vehicle which Coleman is believed to be operating. Last seen in the Providence, Rhode Island area on Thursday, February 28, 2019, police are seeking the public’s assistance to locate Coleman as well as Jassy Correia. "Anyone with information regarding the whereabouts of Jassy Correia, Louis D. Coleman, or the red vehicle is urged to contact 911 immediately. "Community members wishing to assist this search anonymously can do so by calling the CrimeStoppers Tip Line at 1 (800) 494-TIPS or by texting the word ‘TIP’ to CRIME (27463). The Boston Police Department will stringently guard and protect the identities of all those who wish to assist this investigation in an anonymous manner. "The facts and circumstances of the original incident are as follows: The Boston Police Department is issuing a Missing Person Alert and asking for the public’s help in efforts to locate 23-year-old Jassy Correia. Shortly after leaving the Venu Nightclub, Correia was seen in the area of 255 Tremont Street in Boston in the company of an unknown male (see video below) at about 12:15AM on Sunday, February 24, 2019. Correia was later seen entering a motor vehicle, believed to be a red motor vehicle (see photo), with the same male in the area of Tremont and Herald Streets. When last seen, Correia, who is approximately 5’7” tall, was wearing big hoop earrings, an orange jumpsuit and a jean jacket with an image of red lips and pink wings on the back of it."